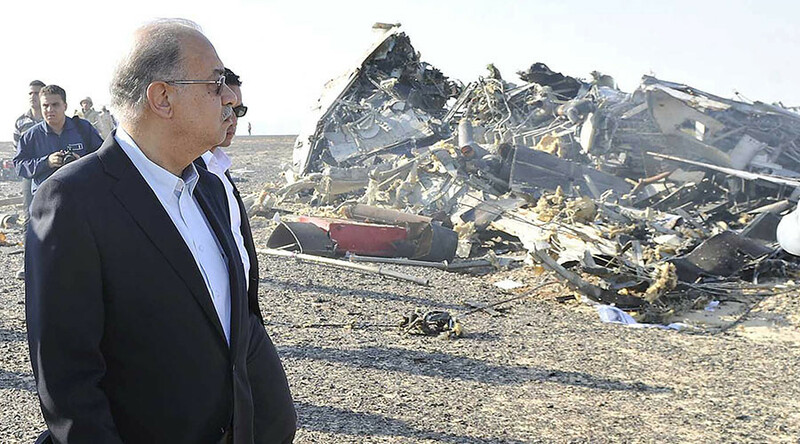 While the investigation into the causes of the Russian passenger jet crash over the Sinai Peninsula continues, civil aviation and security experts agree that theories that the plane was downed by a militant group can be ruled out, despite terrorists making such claims. All 224 people on board the Kolavia airline’s flight from resort area Sharm El-Sheikh to Russia’s St. Petersburg died after the aircraft crashed in Egypt's Sinai Peninsula on Saturday. Experts are still decoding the flight recorders, and the Russian Air Transport Agency has said that there is no point in hypothesizing about the cause of the crash until there is reliable data on the circumstances. While Islamic State jihadist group allegedly claimed responsibility for the attack, saying it downed the Airbus A321 as retaliation for Russia’s airstrikes against terrorist targets in Syria, aviation and security experts believe it to be highly unlikely. “As far as it’s known, Islamic State and its affiliate groups don’t have the capability to bring down aircraft flying at the height that this aircraft reportedly was, which is something around 10,000 meters,” security analyst and former UK counter-terrorism officer Charles Shoebridge told RT. Egypt’s former minister of civil aviation, Wail al-Madawi, agrees that militant groups in Sinai do not possess the capabilities to bring down a commercial aircraft flying that high. “Only a state can have such resources,” he told RT. RT:Considering the high altitude the plane gained 20 minutes into the flight, is it possible to be speculating about it having been taken down by a missile? Wail al-Madawi: No, it is out of the question. I am a former air force officer, and I have the expert knowledge that taking down a plane flying so high requires the kind of capacities only a state can have. It requires some very significant resources: One would need search radars, radars to locate the plane, radars to control the fire. Only a state can have such resources, no militant group like that can. RT:So you’re saying that the militant groups operating on the Sinai Peninsula do not have the military capacities required to take down aircraft at such an altitude – is that correct? WM: Yes. They certainly don’t. Only the state has such capacities. Terrorist groups cannot have such capacities by definition. This kind of mission requires three types of radars. It also requires having missiles capable of gaining such altitude. And only a state can have all these capacities. Therefore, for militants, it’s completely impossible. RT:If the airline report saying that there was no human error involved such as a crew mistake, were to be true, and given the knowledge that the plane broke into two halves – what would be the possible reason for this kind of catastrophe? WM: It is very difficult to identify what caused the catastrophe until the flight recorders have been decoded. They would capture everything the pilots talked about including any technical issues. Mostly probably, there was a technical malfunction which led to the crash. All these details will be investigated through the decoding of the black box data. I believe the results will be published soon. RT:As it has been confirmed that the plane broke into two halves, are there any probable causes for this kind of break-up? Could it have had something to do with the wind speed, aircraft speed, or the aircraft positioning, for instance? WM: I think it’s impossible to define how exactly the ground impact occurred. It all depends on the kind of terrain at the impact site. For instance, if an aircraft were to hit some ridge on the ground, this could cause the plane to break into halves. So it all depends on the terrain. The main thing, however, is to establish why the plane started to lose altitude when it was flying so high. There is a database of air crashes with proven causes of the crash. Some were due to technical malfunction, some to human error, some even to the psychological state of the crew. So that means there are a lot of possibilities to study. I would like to offer my sincere condolences to the families of the deceased Russian citizens. Russia is a friendly nation to Egypt. Russia has provided support to Egypt over a long period of time. At the same time, I would like to confirm the high level of professional expertise of our civil aviation agencies. They are up to the task of investigating emergencies of this kind, and they also welcome observers from the Russian agencies joining the investigation.